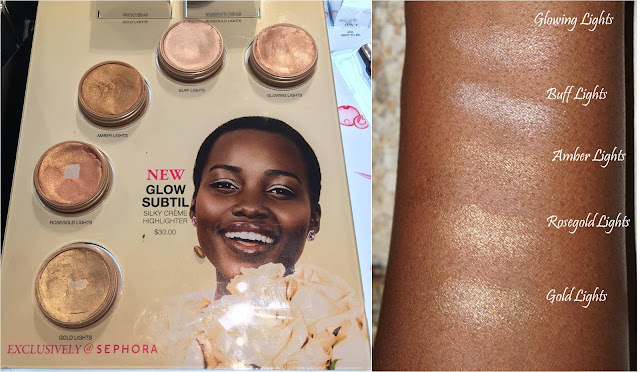 The Lancome Glow Subtil Highlighters are very pretty; and yes, as everyone says, they are identical to CoulourPop in formula (cream based) and packaging. The difference would be the cost, $30.00 for Glow Subtil compared to $8.00 ColourPop highlighters, and the colors. I wish I had more ColourPop highlighters to compare, but I've had a look and I feel like some of the colors are different. Plus, ColourPop does spring cleaning every now and again and discontinues products. For example, Golden Lights is obviously a (reverse) dupe for ColourPop's Churro, which was limited edition and sold out (but back for a limited time; I suspect it will sell out again)..
And none of that takes away from how beautiful these are. 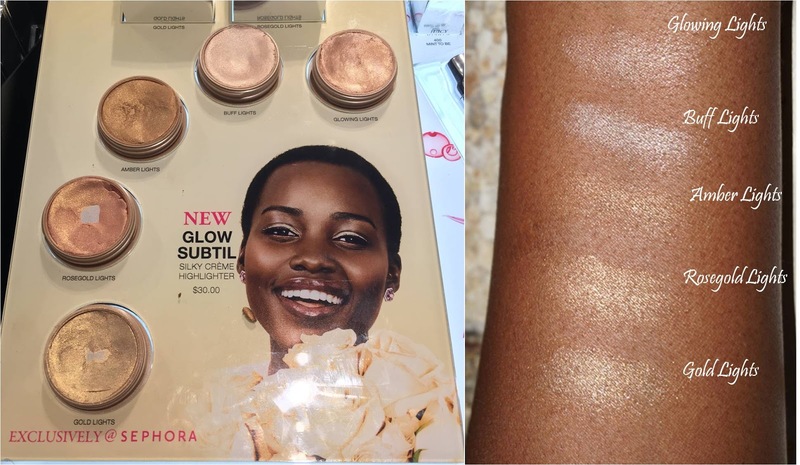 I went into Sephora and was able to swatch all five colors: Glowing Lights, Buff Lights, Amber Lights, Rosegold Lights, and Gold Lights. One of my immediate observations was that three of the colors look very similar to each other when swatched on my skin; those being Amber, Rosegold, and Gold Lights. If I were to choose one of these, it would likely be one of those three.